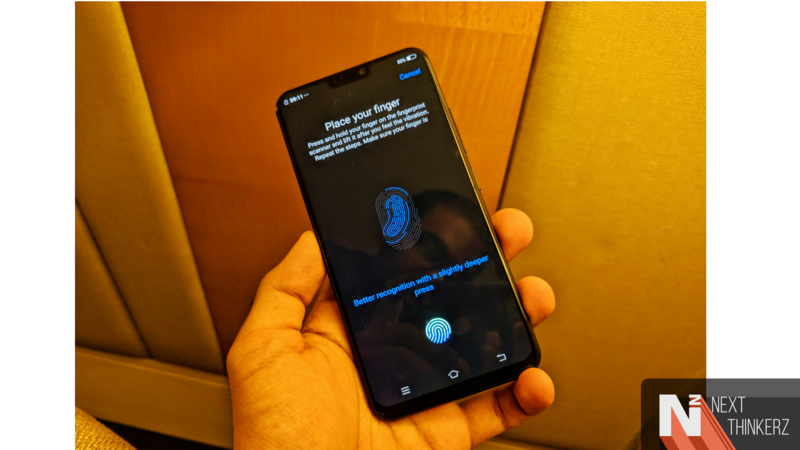 Vivo X21 - First Phone with In-Display Fingerprint Scanner Phone launched in India For Rs.35,990. 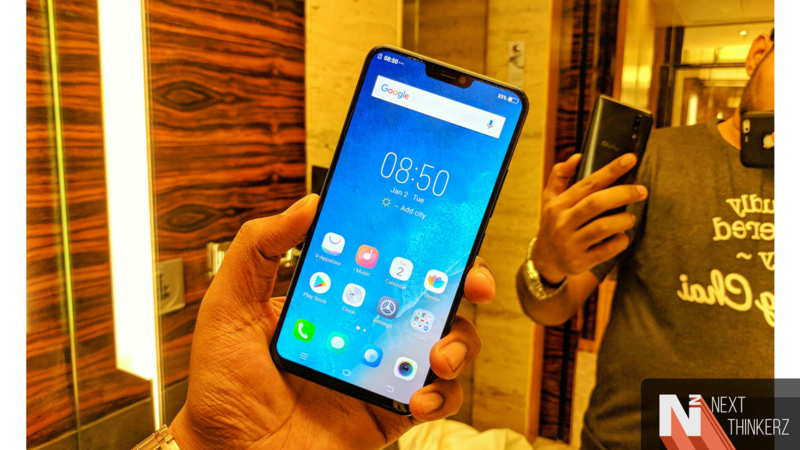 So Vivo is a smartphone brand that quickly managed to grab media's attention worldwide at MWC 2018 by giving a quick glimpse of the future by showing their Vivo Apex Concept phone. 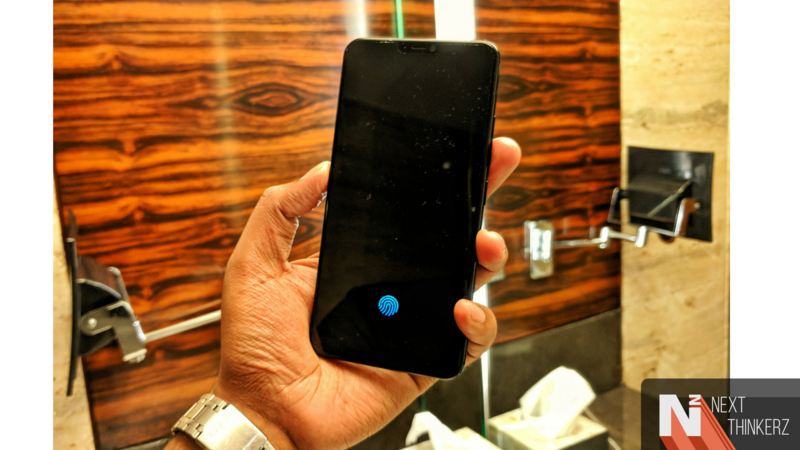 The Apex Phone had no notch, the camera was hidden under a retracting mechanism, whereas the fingerprint scanner was present inside the display. Even though this concept was mind-blowing, the company stated that production of such devices wouldn't be possible on a large scale due to cost cutting problems & in general it won't be affordable. However bringing in some caveats the company launched Vivo V9 earlier this year, which gave them an entry into the so-called "Notch" ecosystem. 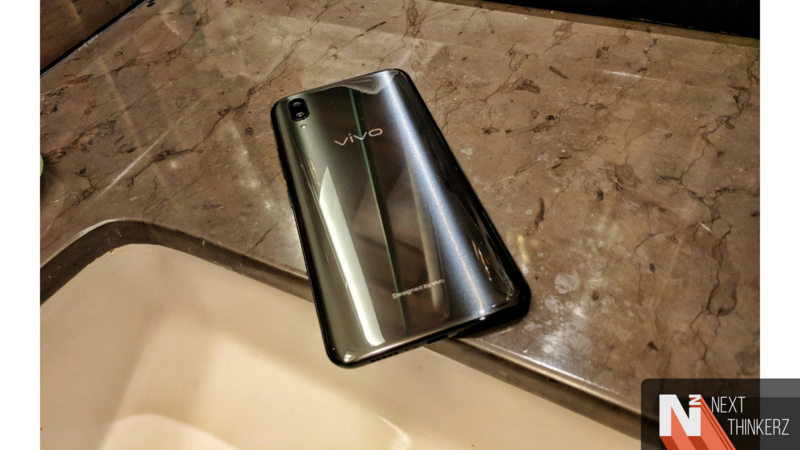 It still wasn't groundbreaking up until now, today Vivo launched their new Vivo X21. It is the first commercial phone to be launched by the company in its entirety when it comes to the smartphone ecosystem. To be honest, I was surprised that it wasn't Apple, it wasn't Samsung, but it indeed was Vivo. Now instead of creating much more fuss, let's find out more about the specifications, availability, and pricing about the new Vivo X21. 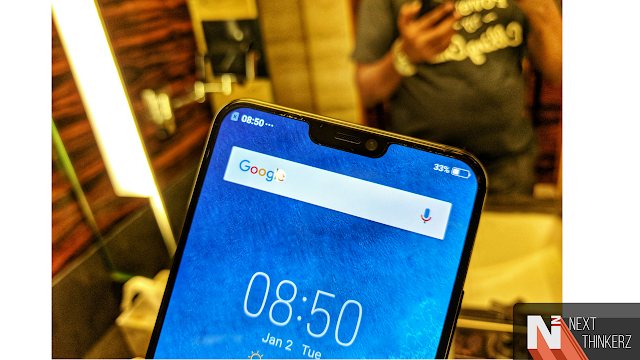 It comes with a 2.2GHz Octa-core Qualcomm Snapdragon 660(4x2.2 GHz Kryo 260 & 4x1.8 GHz Kryo 260) chipset coupled with Adreno 512 GPU & 6GB RAM. Internal storage available on-board is 128GB. Whereas expansion is available up to 256GB via MicroSD memory card slot(Hybrid layout). It has 6.28-inch Full HD+ Super AMOLED panel which gives about 402PPI pixel density. The display provides up to 85% of the screen to body ratio. The rear side has a dual lens setup with first a 12MP sensor having F/1.8 aperture with Dual Pixel PDAF. While the second lens is a 5MP shooter with F/2.4 aperture. The configuration also has a Dual LED Flash. The video quality maxes out to 4K@30fps. There's introduction of Shot Refocus & AI face beauty mode. The front camera setup is a single lens setup which houses a 12MP shooter with F/2.0 aperture. It shoots maximum at 1080p@30fps. It supports Dual Nano SIMs having a hybrid slot setup. It runs on FunTouch OS 4.0 which is built on top of Android 8.1 Oreo. In terms of connectivity, it has 802.11 a/b/g/n/ac dual band WiFi, Bluetooth 5.0 LE, Radio FM support, 3.5mm audio jack & A-GPS. In terms of sensors there's the Proximity Sensor, Accelerometer, Compass and even an In-Display fingerprint sensor which we'll talk in a bit. It has a non-removable Li-Ion 3200 mAh battery with support for fast charging however via a MicroUSB 2.0 connection port. Comes in a single color variant - Black. It weighs at 156.2 gms. The Vivo X21 features an aluminium built on the back, while on the front you've got an all-glass display. Then depending on the unit you have you can witness the glossy finish of the back, which is both attractive but at the same time messy with fingerprints. But nonetheless, if you keep the fingerprint smudges aside, it just looks gorgeous. The 19:9 aspect ratio speaks for itself, while equally providing the phone an almost bezel-less look. Now regarding one-handed usability, it's not a fair choice but then again all the phones that launch these days don't fit well in that criteria. The device screams quality, and I liked the way it looked. Though I wish that the phone had a USB Type-C port, I mean come-on Vivo it's 2018 already. Also if you observe the rear side of the Vivo X21 model, it looks like a beautiful, clean slate prop; courtesy to the In-Display fingerprint scanner. In Display Fingerprint Scanner - What's the fuss about? 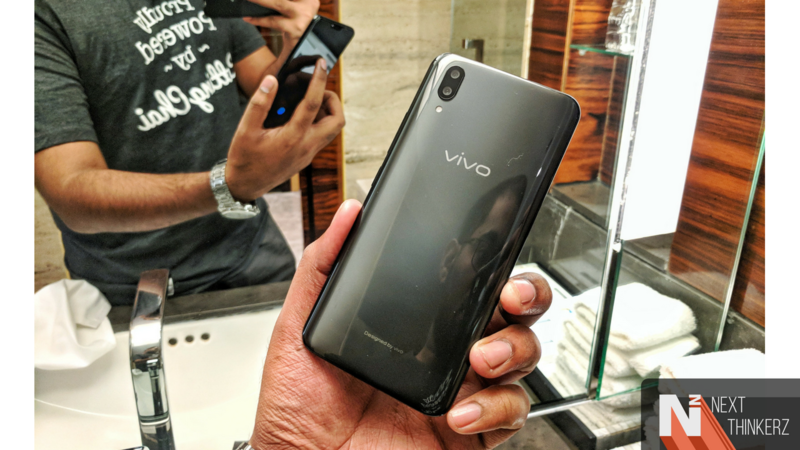 So Vivo X21 is currently the first phone to be commercially launched with a fingerprint sensor that resides beneath the front display. Now don't get your thoughts wrong, the scanner won't bother you at all as it's almost entirely invisible. I said almost because you can spot a glimpse of it under direct sunlight, according to various reports online. Though no matter what the pixels are residing-in, the fingerprint scanning area will always light up. That's readily applicable when the phone is being held after keeping it stationary for a while. This is primarily made so that the user gets a bright idea about the sensor's location. Upon using it for the first time, I was both surprised and intrigued by the fact of its accuracy and speed. It takes a split second to unlock, but trust me it won't bother anyone that much. It seems like Vivo together with Synaptics has finally opened a whole new dimension of possibilities. Even though the technology that gets implemented on this phone is first generation tech, there have been years of research that has taken place to achieve something incredible at this level. While the most surprising part is Vivo, a Chinese manufacturer is leading on this spot rather than the Tech giants. This excites the inner geek in me with the number of possibilities of how a future smartphone might look like and the fact that we're reaching that almost "bezel-less" look on the front. Quick Note: There's no need of pressing harder on the screen for fingerprint detection, simply tap gently as we usually do while selecting any specific portion of the screen. A whole range of AR Stickers has been introduced with the new Vivo X21, which is necessarily a rival ecosystem ripoff. I was expecting these all to work with the front camera, which I hoped might not be a pleasant experience, but to my surprise, these AR Stickers provided me with mixed feedback. Speaking about more wonders, I expected the face unlock to be based upon the front camera. However, I was shocked that a dedicated infrared scanner has been implemented here, which helped in unlocking the phone in a jiffy. So just in case if you might have untidy hands, the IR based face unlock is here to your rescue. I'll let you know more on that in my upcoming review. Speaking about the availability, it'll be available in the offline market throughout the chain of Vivo's official & partner retail stores. While it'll be exclusively available on Flipkart starting from 29th May 2018 itself. There are several offers as well beginning with Extra Rs.3000/- off-exchange value over your regular device, Instant 5% cashback, while No Cost EMI for 12 months, etc. So overall it's a good start for the company launching something new going all in with a new concept. Would these specs be comparable when it comes down to the pricing, when compared to the OnePlus 6 or even the Honor 10? Would you instead comprise specifications for Novelty? 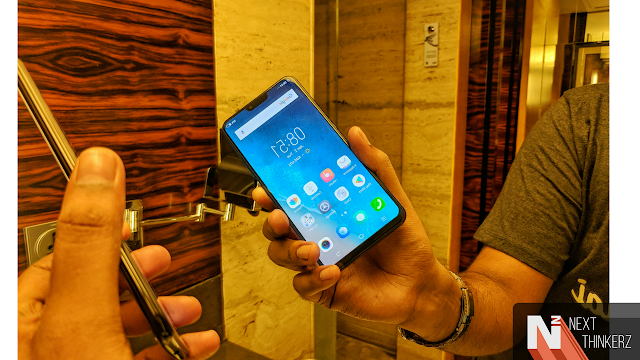 Given the fact that the In-Display fingerprint variant of the Vivo X21 comes at Rs.35,990/- only? Let us know on our social channels, while stay tuned for our full coverage on this device coming shortly.